Andrea's Jewelry Design | Halifax Seaport Farmers' Market Ltd. I have been an artist for 20 years. 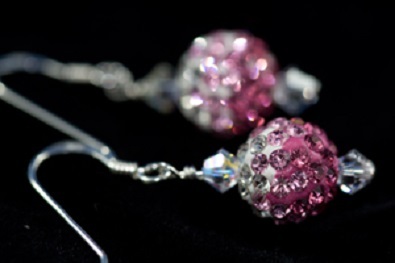 I use only the finest Swarovski crystals, sterling, gem stones and all my pieces are nickel free. I am a juried member of Dartmouth Hand-crafters Guild, NSAC craft show and Middle Musquodoboit Festival of Crafts to name a few. I love to sketch and design and make each piece. It is a joy when I see my finished piece of jewellery. I totally stand behind the quality of each and every piece! “My favourite thing about this is doing what I love. Being able to work for myself and be a woman. To be able to, in this world, show that a girl can do it. I have tools, torches and drills and I can do anything.” Read more about Andrea’s Jewelry Design by Laura Kirkpatrick.